Reel Sharp Sportfishing has over 20 years experience with fishing charters in Islamorada, Florida - the sportfishing capital of the world. We will take you to catch Swordfish, Marlin, Sailfish, Dolphin, Tuna, Wahoo, Sharks, Tarpon, Grouper, Snapper, Cobia, Permit, Kingfish and more! We also fish the Bahamas and the Gulf wrecks. Our 33ft. Hydrasport is powered by triple 250 Yamahas and is equipped with full electronics and radar. We can get you to the fish fast with a quiet cruising speed of 45 mph. Reel Sharp Sportfishing can provide the expertise to make your deep sea or offshore fishing trip suit every angler and skill level. We have an experienced crew that will give you as much or as little help as you would like. We can do a half day (4 hours), full day (6 hours) and the extreme fishing trip (12 hours). 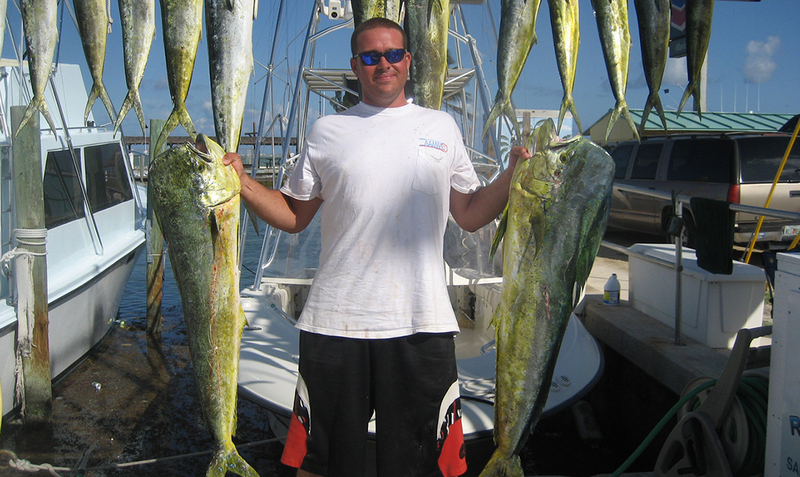 We also fish multi-day Bahamas trips. This is a private charter boat and we will tailor your fishing trip to your individual desires and needs. 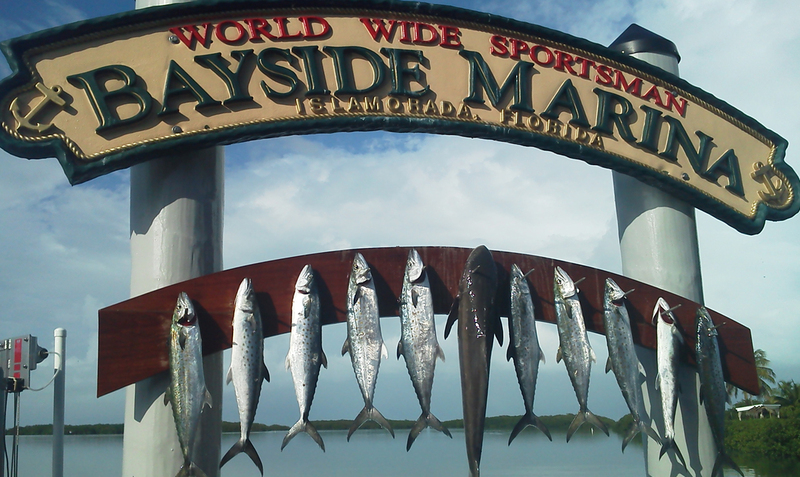 The marina is located at MM 81.5 bayside in the heart of Islamorada and the deep sea fishing is just minutes from our dock. Visit our marina page for more information. 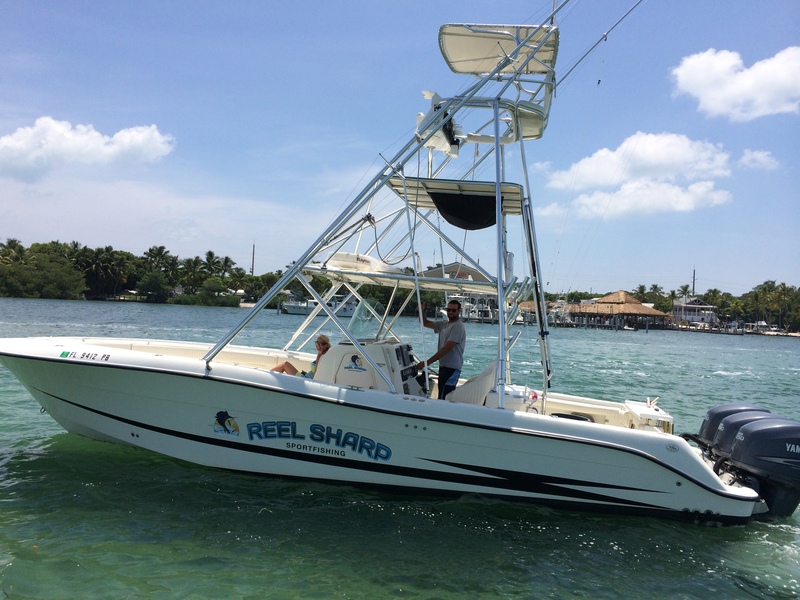 In addition to charter fishing Islamorada Florida, “The Reel Sharp” is tournament equipped, has a Raymarine chart plotter, color depth finder and radar. We participate in the various tournaments in the area. You can visit our fishing tournaments page to see what tournament you would like to set up a fishing charter for. We also are equipped for kite fishing and have electric reels for deep dropping. We specialize in fun fishing charters, using light tackle, live bait fishing and having an awesome day on the water. The Reel Sharp provides a very knowledgeable and courteous crew that will combine their experience to put you on fish.